Looking for NCC (Car Rental with Driver), Taxi or Water Taxi in Venice and other Italian cities? Click on Diamond NCC and discover the most complete service. Diamond NCC: much more than a taxi in Venice, Vicenza, Padua, Treviso, etc. Find out the innovative car rental with driver and water taxi services, including security solutions. Bodyguard service for your personal security. Are you looking for the best travel service in Venice, Treviso, Mestre, Padua, Cortina d’Ampezzo, Vicenza, Trieste? If you need a car rental service with driver, you cannot leave this choice to chance. If you are looking for an alternative to the classic taxi and water taxi service, then you should aim at a high-quality travel service able to meet special requirements beyond a normal taxi service. However, not all the car rental services have these characteristics, that’s why you should apply to Diamond NCC, which is the leading provider of car rental services with driver in Treviso, Cortina d’Ampezzo, Vicenza, Trieste, Venice, Padua and Mestre, and the only onethat offers also a bodyguard service for your personal security. Contact Diamond now at ☎ (+39)388.88.18.140 and ask for a quote for the travel, tour, water taxi and security services. Diamond NCC provides not only official cars with highly-qualified drivers, but also an efficient security service with bodyguard working in close contact with the driver, because Diamond NCC is also a security agency. This comprehensive service shall allow you to combine the taxi and water taxi service to fully cover your travel needs. 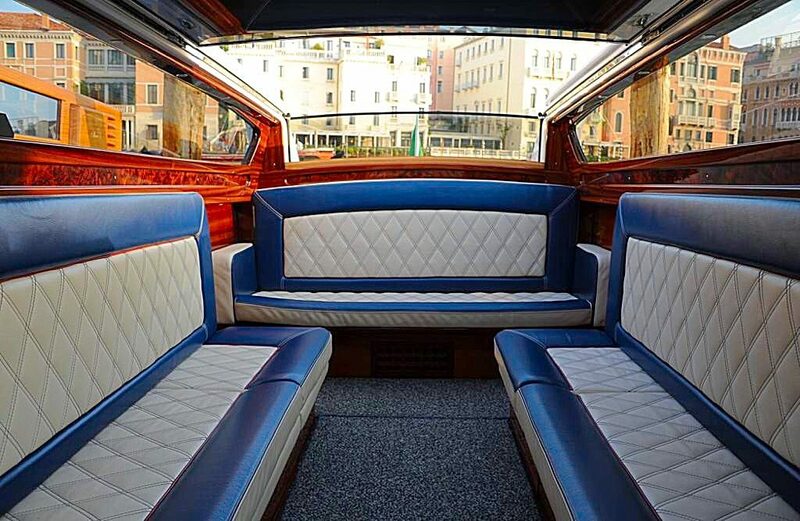 For example, if you have booked a hotel in Venice, Diamond NCC shall pick you up at the airport with a car and, once you arrive in Venice, the car shall be replaced bya water taxi that will take you to the hotel. Thus you will not need tobook various transport solutions for the travel from the airport. Diamond NCC will take care of every aspect and shall allow you to freely move in the desired way. Thanks to its exclusive car rental services, the company offers top-of-the-line vehicles and highly-qualified staff whichwill help you enjoy the best travel experience. Then, why should you buy a first-class ticketfor theairplane or train and then apply to a taxi or water taxi service for any road travel? Choose thetravelsolutions developed by Diamond NCC, which offers a wide range of luxury car rental servicesto let you enjoy the luxury class even on the road. Just think of the benefits deriving from car rental services with driver. If you are looking for this kind of service in Mestre, Treviso, Cortina d’Ampezzo, Trieste, Padua, Vicenza, Venice, choose the best provider and apply to Diamond NCC to book your car with driver, including the security service. What about Venice? Do you need a water taxi? Then opt forDiamond travel services, which also provides traveland tour services also for water transport, including the security service upon request. Moreover, Diamond offers tour services alsoin Florence, Verona, Milan, Rome and in the Dolomites. Travelling on road is always a delightful experience with Diamond NCC. In fact, it is no coincidence that the company chose this name, because it is a true gem in the official car and car rental field with driver in Padua, Mestre, Treviso, Trieste, Vicenza, Venice and Cortina d’Ampezzo. If you are looking for the best solution and are not satisfied with the taxi or water taxi service, thencall☎ 388.88.18.140and ask forthe car rental service with driver andsecurity service. Diamond NCC can meet your requirements when it comes to travelling with a driver. Do not settle for those taxi or water taxi services that never meet your expectations. Diamond NCC ensures an excellent journey, including all the comforts and a personal security service with bodyguard. Why should you apply to a car rental provider with driver for your travels and to a bodyguard agency for your personal security? Today, a single company shall arrange for both the services. Diamond NCC offers first-class road travels, with a dedicated security service. You do not need to apply to various agencies anymore. Just call Diamond NCC and ask for a comprehensive car rental service with driver,including a luxury car, driver and bodyguard for your personal security. This effective solution will allow you to enjoy all the comfortsin the utmost security, exceeding the quality offered by thetraditional taxi services. This service is also availablein Venice as an alternative to water taxi. The Diamond NCC car rental service with driver offers guarantees to the customer the best and fully covers all the road and water transport requirements. In order to make the service even easier and more comfortable, the company offers various packages that include taxi travels with driver on the road, water taxis and security. 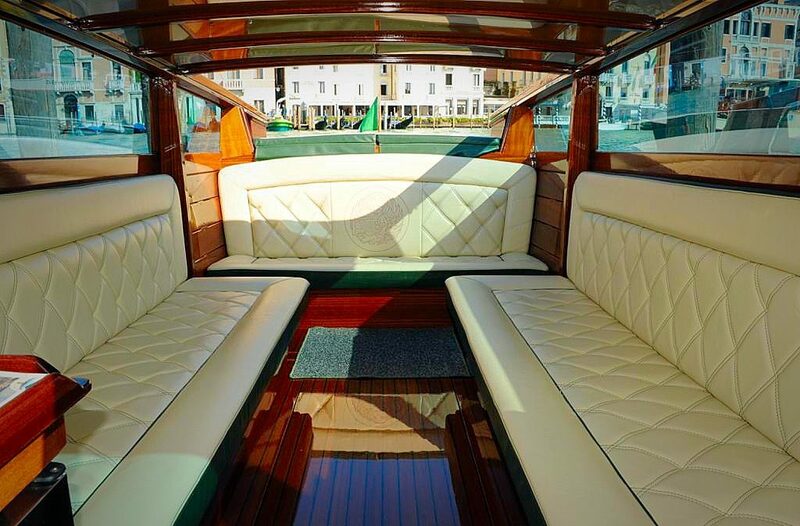 Youmay request only the services desired, namely you may book the transport with driver on the road, a water taxi in Venice, or both of them, which is an ideal combo for a complete journey. In addition to them, according to your needs, you may request the security service. You canalways choose the best solution for your needs. Diamond NCC always gives you the best service, thanks to the great experience and professionalism that distinguish this company on the market. Driver and bodyguard round off the service. If you are looking for a car rental service with driver in Trieste, Cortina d’Ampezzo, Vicenza, Padua, Mestre, Treviso and Venice or for a tour in Florence, Milan, Rome, Verona, in the Dolomites and if you need a security agency with bodyguard, Diamond NCC will surely suit you. One single booking will include everything you need at the best conditions. Diamond NCC offers a high-level car rental with driver and a dedicated security servicespecifically designed to provide both a bodyguard and car rental service with driver to let you move around the city in the utmost comfort. No other taxi in Venice, Vicenza, Padua, Treviso, or car rental service with driver in Cortina d’Ampezzo, Mestre, Trieste, or tour in Verona, Milan, Rome, the Dolomites or Florence can offer a better service. If you are looking for the top quality in a car rental with driver and security service with bodyguard, just opt for Diamond NCC. A bodyguard who takes care of your security while you are travelling in an official car with driver will allow you to enjoy the utmost comfortwith a car rental service with driver. Do not miss the chance to live a first-class experience. The car rental service with driver in Venice, Vicenza, Cortina d’Ampezzo, Padua, Mestre, Treviso and Trieste covers the whole national territory with reference to both the travelsand the security service with bodyguard. It is the ideal solution for a tour in Rome, Florence, Milan, Verona or in the Dolomites. Thus you will be able to optimally plan your trips while enjoying the highest quality in the whole service. Car rental with driver and security service by Diamond NCC: a security guarantee for every travel with or without bodyguard. If you are looking for an exclusive car rental service with driver in Cortina d’Ampezzo, Padua, Vicenza, Mestre, Treviso, Venice, Trieste, characterised by the highest quality and efficiency, then contact Diamond NCC. Designed an alternative to the traditional taxi or a water taxi service in Venice, the car rental with driver is surely the best solution. Moreover, if you need a bodyguard and security service that supports the driver, just call our numberand ask for thesecurity service. Our competitors operating in the taxi or water taxi sector cannot offer the same top services. Travel security in an important aspect. The presence of a bodyguard who supports the driver on your official car is an added value. Only Diamond NCC can offer this cutting-edge security service which, combined with the car rental service with driver, distinguishes this company on the market. The Diamond NCC security service features highly-qualified and experienced bodyguards specialising in the protection of people. If you are looking for a taxi service with driver in Venice, Vicenza, Padua and Treviso, a car rental with driver in Trieste, Cortina d’Ampezzo and Mestre, a tour in Milan, Florence, Rome, Verona or in the Dolomites, call Diamond NCC. The company also acts as a security agency that will allow you and your staff to travelin the utmost security and comfort during your transfers to Padua, Cortina d’Ampezzo, Vicenza, Trieste, Venice, Mestre and Treviso. Do not settle for any taxi service or any driver. Choose the best. Choose Diamond NCC. Copyright 2019 © Venice Digital.